This week I was busy finishing up my French manicures. I still have gel nails, full sets, men’s manicures, and fill-ins to complete. On Tuesday we began a mock State Board for the practical. It's pretty easy; the only thing is you have to remember every step and make sure you don't mess up at all. I'm going to take my practical this week. Since my instructor went over it, I feel more comfortable and very familiar with the steps. Hopefully I won't get too nervous when taking it. I already passed my written State Board exams, so I only have my practical, and because I'm so close to graduating I want to get them out of the way. I can't believe I graduate this month and only have three more weeks left! It's crazy how fast it went by. I'm glad that everyone reading this got to experience my journey with beauty school. 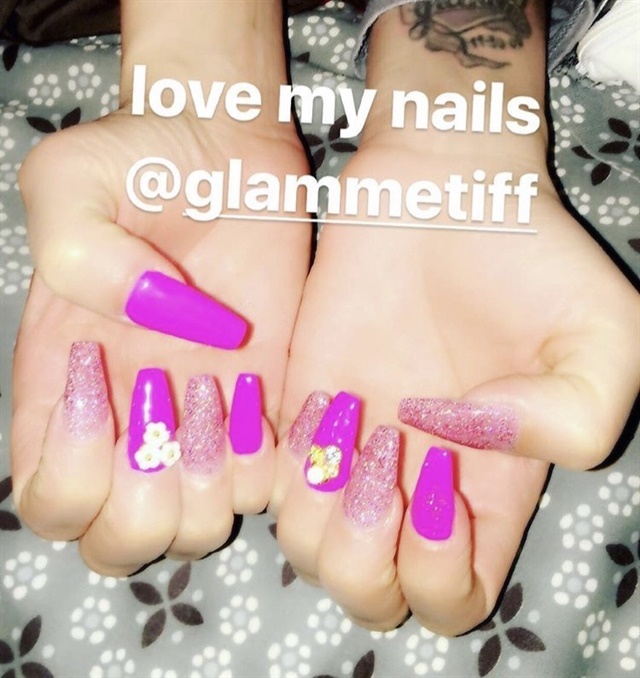 I'm going to miss blogging for NAILS Magazine and sharing my experiences with all of you but you can follow my Instagram to see what I've been up to @Glammetiff. I almost forgot that IBSNY is coming up and I just got my ticket. I've never been to a trade show so I can't wait. It looks like it's going to be amazing. I wasn't able to take pictures this week because we were doing the mock State Board, but I will have lots of pictures next week. I did a full set on Friday, so I'll put that picture in so you can see how I did. Thank you to everyone for reading my blog. See you next week!